Have you just got off the plane at Heathrow and remembered you left your car keys in another country? 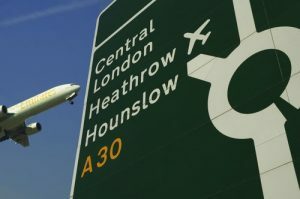 Our Heathrow Airport auto locksmiths can be with you within 45 minutes of your call – 0800 158 3798. The Auto Locksmith has a dedicated Heathrow car locksmith team ready and waiting to assist car key emergencies. With 2 vans coverings the area you can be sure we will be your quickest option for opening your car and replacing lost car keys while you wait. Have you ever locked your keys in your boot? What would happen if you arrived at Heathrow Airport to board a flight and accidentally shut your keys in the boot after removing your bags? Most people would think the holiday had ended early, but this need not be the case if you know the contact number for the dedicated Heathrow vehicle locksmiths – 0800 158 3798. We are experts at unlocking vehicles, we can open any car without causing damage within less time than it takes to check in for your flight. Our locksmiths use specialist lock picks to open car locks and retrieve your car keys. What would you do if whilst on holiday you realised you have misplaced the keys to your car parked at Heathrow? Most people would panic and let the stress ruin their holiday. Not you! You have just found the contact details for Heathrow’s dedicated replacement car key company. We exists because there is a requirement for our service. Thousands of people lose car keys whilst travelling abroad and we are there to offer a fast and affordable solution. On returning to Heathrow terminal 5 long stay business car park it suddenly dawned on me that I had borded the plane without my only set of keys for my Ford Fiesta. I got myself a coffe and looked on my iPhone for 'auto locksmiths Heathrow Airport'. The Auto Locksmiths website clearly described what they do and suggested they could be with me in 45 minutes. Carlo arrived in satisfactory time and was quick to replace the car key. The service was outstanding - great website, professional phone service and a friendly locksmith. These guys are your best choice for replacing car keys at Heathrow.